DESCRIPTION A CLASSIC Truman Home – striking architecture, contemporary window treatments, cedar accents and soaring roof lines – an open, transitional design. The Great Room design features an 18’ cathedral ceiling, a bank of windows, a WARM southern exposure, broad open spaces, vaulted ceilings, wideplank oak hardwoods, designer lighting/window coverings and quartz counters throughout. The gourmet kitchen enjoys BOSCH s/s appliances incl gas cooktop and B/I oven, wine fridge, a breakfast bar and generous dining space. Upstairs the master offers a 5pc en suite and walk-in which ties to the laundry. The two add’l beds are bathed in natural light with generous window treatments and a wonderful Bonus Room! 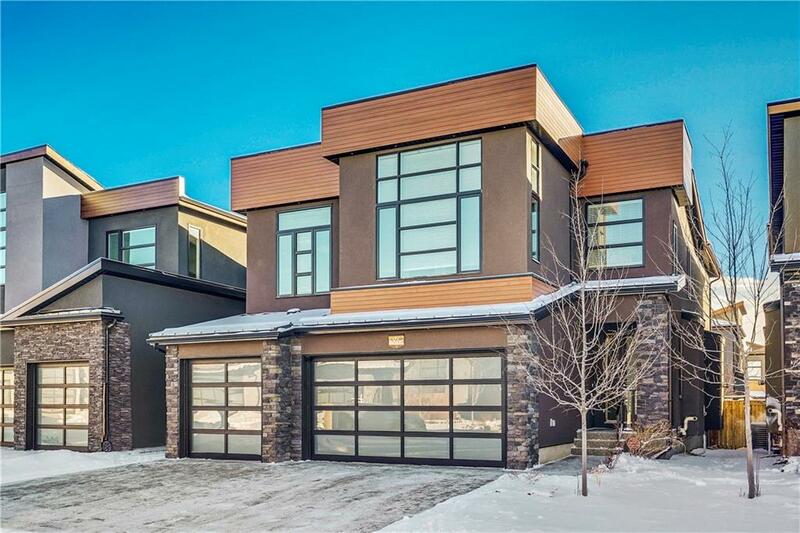 This 2015 construction shows like new with 2,682 sq ft of living space, a quiet cul de sac, close by the shops and services of 85th St, three local schools, and Calgary French Int’l. Add’l features incl a bright 3 car garage with glass paneled doors, irrigation, aggregate drive/walkways, Central A/C and more.